Guten Tag! For this week’s Tasty Tuesday, I visited Raleigh Brewing for their Oktoberfest celebration on Friday, September 22nd. This may sound early for a festival that is named after the month of October and not September, but the original Oktoberfest in Munich actually began on September 17th this year. Raleigh Brewing is located off Neil Street, across from Meredith College. 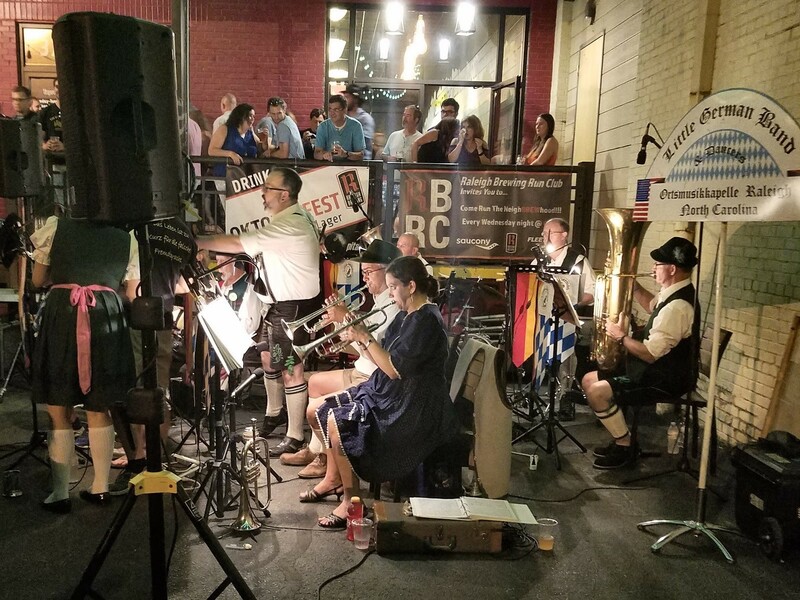 Raleigh Brewing closed off its parking lot to expand their outdoor seating and give guests a space to enjoy the "Little German Band." The band dressed in traditional lederhosen and dirndls and playing traditional German music for the crowd, and some not-so traditional music as well. The taproom was lively with fresh beer flowing to guests, ready to wash down a tasty schnitzel sandwich from the Porchetta food truck. 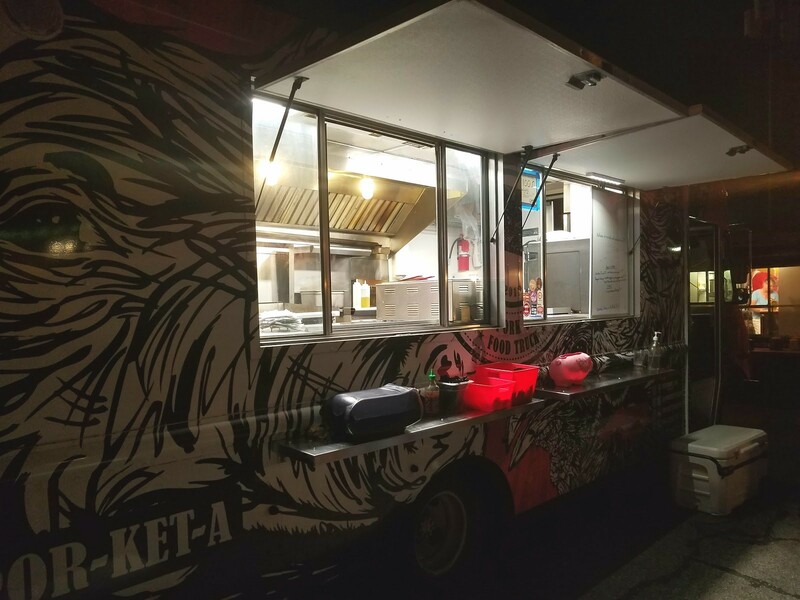 Raleigh Brewing does not serve food, instead it has a regular rotation of food trucks parked outside its taproom 5 days a week to provide great food to hungry beer drinkers, athletes, and home brewers. Atlantic Brew Supply, the dream shop of any home brewer, is located through the doors at the side of the tap room. Raleigh Brewing’s patrons do more than drink beer, with yoga being held on Sundays, biking with Raleigh Brewing’s team “On Draft” on Tuesdays, and group social runs on Wednesdays. Team On Draft even set a team fundraising record with $12,000 raised for the National Multiple Sclerosis Society. 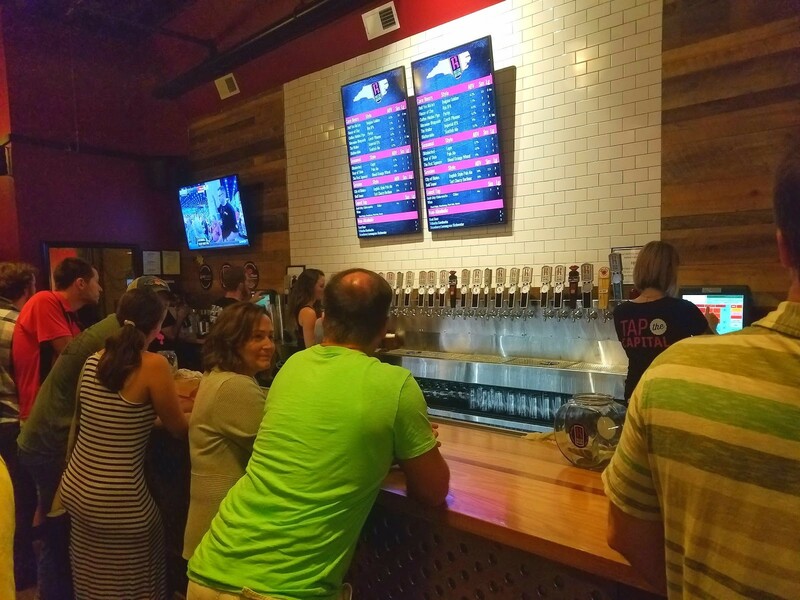 Raleigh Brewing has an exciting assortment of events planned for most nights of the week that include puppy play dates on Mondays, trivia on Wednesdays, and brewery tours on Saturdays. You can find Raleigh Brewing’s full calendar on their website. If you missed the Oktoberfest celebration, you still have a chance to grab some Oktoberfest lager before the season is over at local stores and in the taproom.